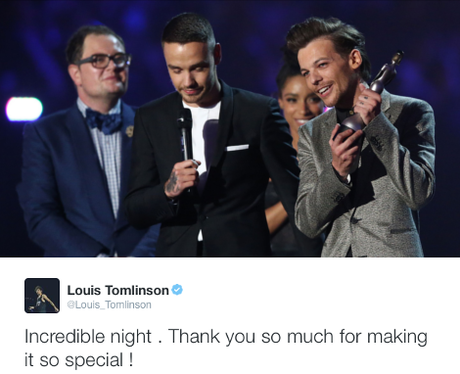 Louis Tomlinson thanks the fans for getting One Direction to win Best British Video at The BRITs. 4. Louis Tomlinson thanks the fans for getting One Direction to win Best British Video at The BRITs. Well, they are the best fandom in the World... or at least, certainly the biggest so it's not really surprising that the tweet-to-vote award went to One Direction. They deserved it. They did use a rocket ship after all..